Hillary Chybinski: a west coast christmas. . .
a west coast christmas. 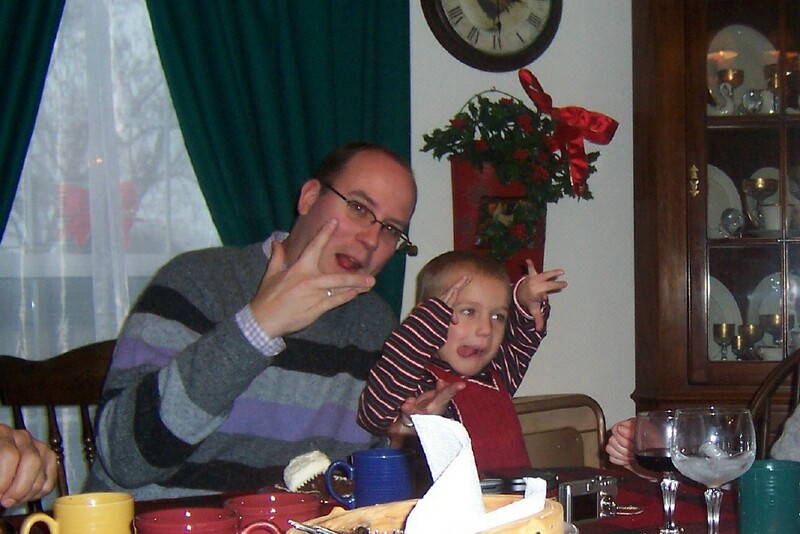 . .
. . .of course i have no idea where this came from. . .but suddenly ryan is "doing things west coast", and making these funny faces and hand gestures. . .here he is posing with daddy on christmas day.